If there was one moment of The Expendables 3 that captured that Expendables/Action Movie feeling and the reason why we go, the reason why we're Action Movie Freaks, it was Arnold laughing manicly as he shot out of the helicopter. That rush of pure pleasure in the mayhem and violence . . . I couldn't wait to see The Expendables 3, so I went to the first showing on Thursday night. It delivered and then some on the Action! I enjoyed every minute of it, loved the lines, and will watch it again and again. It was spread a little thin on the screen time for all those roles because there were so many stars (at first I thought too many), which is kind of a waste because they don't really get to shine. But, it's like complaining there's too much food on the buffet while your mouth is full and you're filling 2 plates. Speaking of shining, Wesley Snipes had a big intro (the scene reminded me of Sucker Punch), but then he took a backseat (literally and figuratively) after that. He was great! I loved seeing him in Action, where he should be, in this Ultimate Boys Club. Every time I see an ensemble cast of Bad Asses like this, I go back to the introductions in The Rundown. It's a device that's like a shorthand to give you their strengths but I loved it and it would have worked really well here. They're super Action Figures. They should be hyped. Ronda Rousey's scene was the closest, but I hated that she was in a dress and heels (sigh). Still the "heels" line was funny. When it came to her becoming an Expendable, I wanted her to be in long sleeves and a crew neck like the guys, instead of something with cut-outs and a low-cut zipper. The one liners kept me chuckling. Antonio Banderas was amusing (how was he not named "Chit Chat"? but he doesn't belong in this Action Bad Asses and Fighters group). Mel Gibson was oily and intense, but I needed more back story to hate Mel Gibson (other than real life . . . ZINGER! ), so it would be more satisfying at the end when they take him out. Kellan Lutz shone here with his (his stunt double's) motorcycle hijinks (I liked that there was a creative payoff for him being a motorcycle rider), but you know even as a moving target, with that many soldiers, he would have been shot. [[On second thought, they would have been thinking he was one of theirs. The scene where he rides up the tail of the downed helicopter was incredible.]] (The credits don't list who did the motorcycle riding—they should! When will that ever change?). 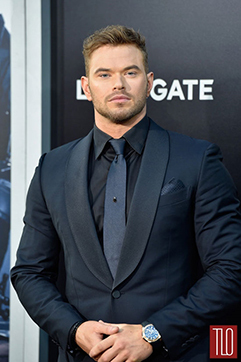 Kellan has unquestionable star power and he and Barney have a conversation about him taking over The Expendables . . . 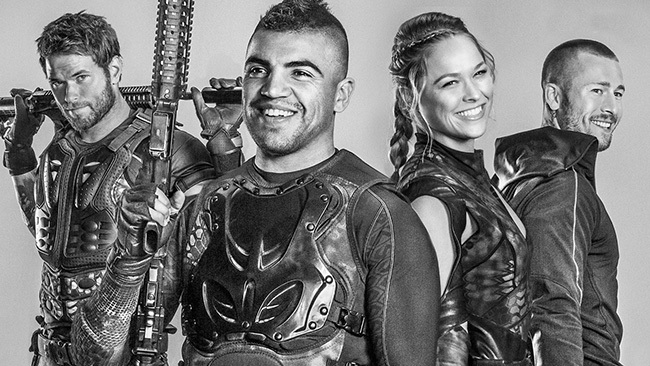 It will be cool to see if they go that way (young crew in charge) for The Expendables 4. I hope they start it with a bad guy we can get behing hating so the ending is more satisfying. Also, some things for the young Expendables to overcome so we get to know them better and root for them. At first I thought Arnold Schwarzenegger and Harrison Ford were a little bit of a waste as well. Still, it was cool to see Harrison Ford there (and I loved the "he's no longer in the picture" line about Bruce Willis). It gave you that 'crossover' rush. Like they were playing cards and a King trumps a Jack. [[As I re-read the next bit, I was just wrong:]] I thought the story seemed like it was written around some of the stars rather than for them. For it to work, we have to be invested in the mission (finding/killing Mel Gibson). I didn't feel like I was rooting for Barney Ross to 'win' against the bad guy. They needed some personal history up front. It's nitpicking but the paper file seemed old tech. In the end, I feel like these are comic-book type characters and we don't get their individuality enough. Mainly because there are too many of them, and partly because The Expendables' back story has never been defined. They also need/needed to be hyped by someone. What makes them (the crew) so good? What brought them together to create this band of brothers? Visually, I love the whole look of The Expendables and that really shone here. 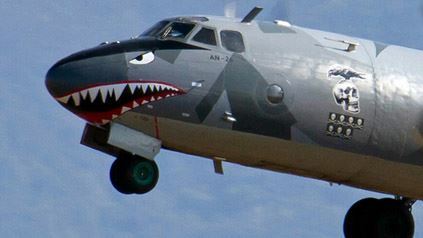 The black they wear, the cool vehicles and planes, the weapons, and the signature tattoo! Even their off-duty casual clothing and the setting of where they hang out. 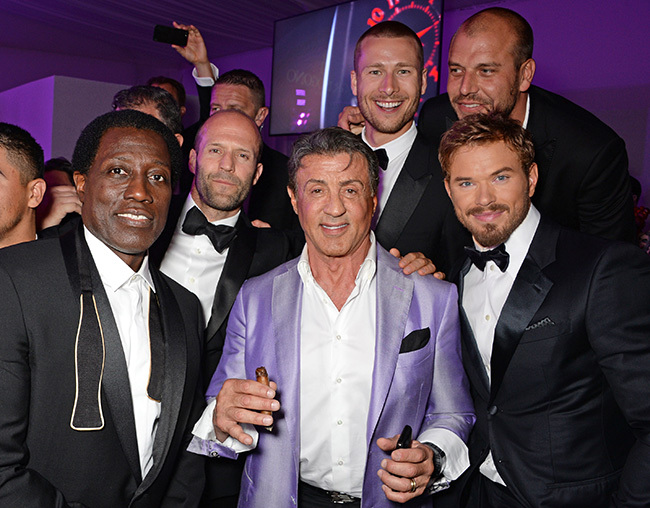 We still really enjoy seeing our old-school Action heroes hanging out together. It sells itself. Can't believe we almost lost Jason Statham in that on-set accident. Where was everyone that nobody dove in to help him?! Whatever criticism/suggestions given here, let the last words be what I said at the beginning: "I enjoyed every minute of it!"